We’ve known the Mitsubishi Outlander Sport, along with the regular Outlander upon which it is based, would enter a new generation for the 2018 model year, but as of yet we’ve had no idea what it would look like. Now we know…sorta. 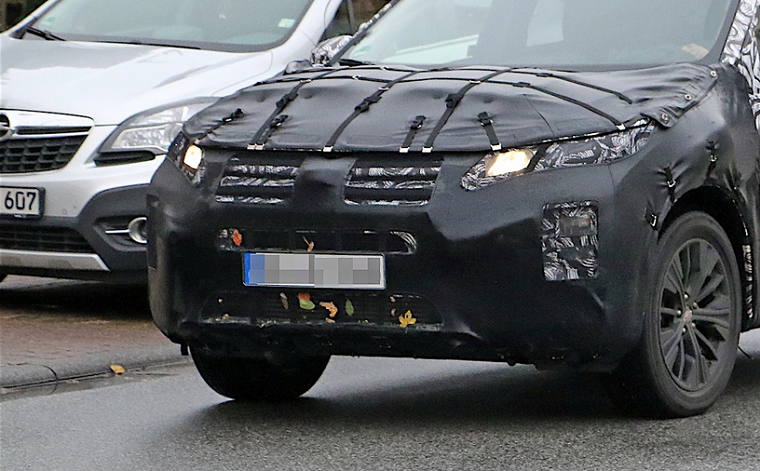 The 2018 Mitsubishi ASX (the UK’s version of the Outlander Sport) was spied in heavily camouflaged form, but not so camouflaged that we couldn’t work out some of the new exterior features. For instance, it boasts the new styling identity recently introduced by Mitsubishi, marked by separate LED daytime running lights, a massive front bumper, a front grille even larger than the current one, and new headlights. The design seems reminiscent of the eX Concept the Japanese automaker recently debuted at the Los Angeles Auto Show and which was originally unveiled at the Tokyo Motor Show in 2015. The “Dynamic Shield” at the front end is the biggest clue that this is the case—notice the aggressively slanted three-bar grille and the more forward-facing badge ahead of the headlights. What’s more exciting about the upcoming Mitsubishi ASX/Outlander Sport is that along with the exterior and interior overhaul, it is suspected that it’ll be the first vehicle in the automaker’s lineup to feature the return of the Evolution badge. The Lancer Evolution, which had been the face of Mitsubishi performance for many years, was discontinued last year with no plans to revive it in the future—a future which is expected to hold many more Mitsubishi SUVs and crossovers. So if that’s the route Mitsubishi is taking, why not at least throw in an ASX Evo?